So, Ahmad Farroukh, MTN South Africa’s CEO of the past 11 months, is leaving at the end of July. His tenure has been rocky, to say the least. He was brought in to turn around the troubled operator, but instead is leaving turmoil in his wake as a long-running and particularly acrimonious labour dispute involving the Communication Workers Union (CWU) drags on. Farroukh’s departure, announced this week — he leaves at the end of July — comes just weeks before the group announces its interim results for the six months to 30 June 2015. The timing of his exit must raise questions about the performance of MTN’s South African business. Has the operator lost more ground to rivals Vodacom and Cell C? We’ll know soon enough — it publishes results on 5 August. The official line is that Farroukh is leaving for “personal and family reasons”. Given that his family lives abroad, perhaps this needs to be taken, at least in part, at face value. He was brought in to put the South African operation on a firmer footing. The business has come under intense pressure as competition intensifies in a maturing market. Farroukh certainly has the pedigree, having reportedly done a good job in West Africa, where he headed up MTN’s most profitable operation, Nigeria, as well as in Ghana, where MTN is dominant. He came to MTN through Investcom, which the mobile group bought in 2006 for US$5,5bn. 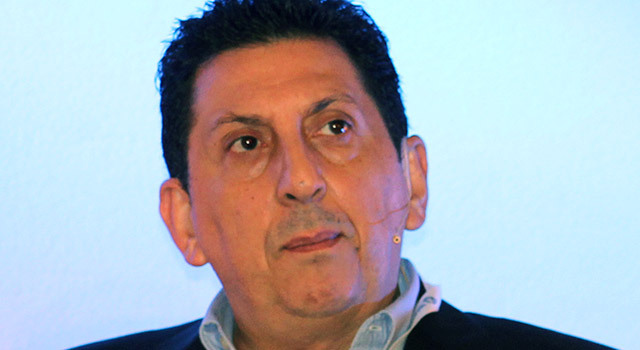 Farroukh replaced Zunaid Bulbulia at the head of MTN South Africa. Bulbulia, one of MTN’s founding members, was moved out of the local operation last year and into a leadership role in the group head office. Bulbulia had only been South African CEO for a year before he was moved. The constant chopping and changing of CEOs must be a worry for MTN investors. A year is not long enough for a new CEO to see through the implementation of a strategy. The strike aside, MTN is operating in a market that has changed dramatically in recent years. It was late to cut prices in response to competitors, and paid for this mistake in market share losses. And it was forced to retrench thousands of employees as part of a sweeping cost-cutting exercise as pressures on profit margins mounted. The South African business has appeared, however, to have turned the corner in the recent past. Has the CWU’s industrial action, which has reportedly impacted on some of MTN’s channels, put paid to the tentative turnaround? MTN’s most recent business update was published on 27 May, providing insight into the first four months of the year. It said the South African business had been “impacted by challenges experienced in the prepaid distribution channel”. Net subscriber additions had shown signs of accelerating in April. And voice minutes had surged by 137% year on year following reductions in tariffs over the past 18 months. Service revenues were up by 3,3%, though “challenges” with cellphone distribution — with handset sales down by 21% year on year – hit revenue growth. Still, the numbers don’t exactly paint a picture of despair. Of course, the impact of the CWU strike, which began on 20 May, is not reflected in these numbers. Farroukh’s critics say he has tried to model the South African business on Nigeria, a market made up almost entirely of prepaid users. South Africa has different dynamics and what works in West Africa might not work well here. He has also been criticised for a headstrong, even abrasive approach — it’s his way or the highway, insiders say. That won’t have played well with the striking workers. Who will take over at MTN South Africa? Analysts believe Farroukh’s successor will be from within the group. One name being mentioned is Philisiwe Sibiya, the previous South African financial director, who was promoted in April to head up MTN in Cameroon. That she moved so recently to that role, though, could count against the chances of her getting the job. Whoever fills the hot seat, shareholders will be hoping the new CEO can settle in for longer than the recent incumbents. 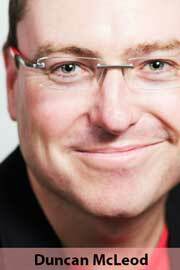 If not, the top job at MTN South Africa risks becoming seen as something of a poisoned chalice. they shouldnt bring another financial person at the top. All they do is to make the numbers look good. cost cuts, firing more employees, delay projects and ofcourse increase price or dont respond to market.. they need customer gurus..some one from marketing or even better sales who knows how customer thinks and not how the shareholders think. MTN really has a long way to go, the telecom industry has changed a lot and they refuse to change. What they should do now is get a CEO that will take risks all in the benefit of getting customers that will stay with them, perfect or at least up their services, do extensive coverage not in just surburbs but even in townships as that’s where people live not in town where they work. Customer feedback needs to be taken seriously as this is why I left them, they always believe computers more than people no matter how much of negative feedback they get from customers they will always blame your device instead of fixing or at least checking out the problem. MTN will take about 2-4yrs to fix their current issues and that’s if they get a stable CEO. They should get inspired by Telkom, Sipho Maseko did wonders as everyone was messing up before him. …probably the BIGGEST of their problems and I don’t see them resolving this anytime soon when it’s clear to all that they even struggle with taking staff feedback seriously; don’t regret for a single moment leaving MTN. Mr Farroukh was only ever staying at MTN SA for one year – he told staff that right in the beginning. There are plenty angles to look for regarding his resignation but in reality his one year is up and he is leaving, just as he said he would. Agree with the commenter below – no more finance people, MTN needs a charismatic leader who is really visionary to inspire staff and improve service delivery to customers. NO CEO is strong enough to run a company by themselves. Even though there may have been a financial background, surely there are marketing, sales and customer care directors too? What happened to them? I don’t see anybody taking them on……. Going on my past experience with MTN I will never be a subscriber of theirs again. They stole from and then lied about it, may they burn in hell.